GOKPOP | Exclusive K-News in Malaysia & Singapore: MTV Heats up with K-Fever in October: Catch 2017 Busan One Asia Festival LIVE on 22 Oct! 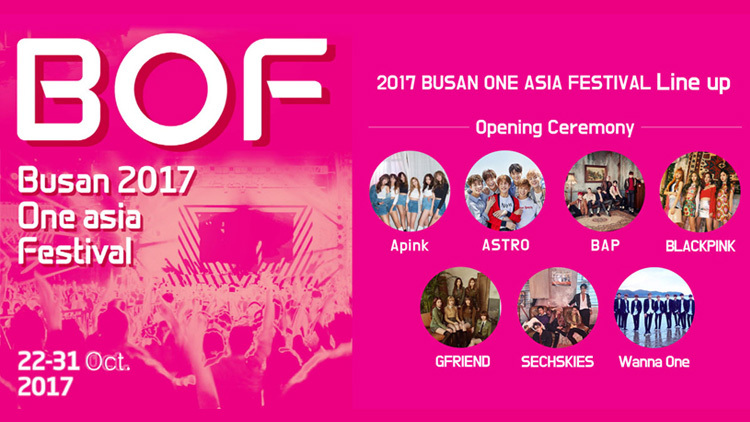 MTV Heats up with K-Fever in October: Catch 2017 Busan One Asia Festival LIVE on 22 Oct! This October, get ready for MTV Asia to turn up the heat with Korean shows that pique passions - from music, to food, to reality TV. As the official ‘Asian Broadcasting Partner’ of the 2017 Busan One Asia Festival, MTV Asia will air the Festival Live from the Busan Asiad Main Stadium. The Festival blends Busan culture with Hallyu content, and fans can expect performances from the biggest names in K-pop such as Apink, ASTRO, BAP, GOT7, SF9, NU'EST W, and SECSKIES. Riding the wave, viewers can also enjoy performances from the hottest musicians in the Korean music scene in Season 7 of The Stage, indulge in celebrity cook-offs in Idol Battle Cook, or cheer on their model favourites in runway series, Supermodel 2017. “K-pop continues to bring the pop to culture, and fans continue to have a ravenous appetite for all things Korean. At MTV, we are serving up a breadth of content that covers the best in music, food, culture and reality TV,” said Abhishek K Rao, Senior Director, MTV Brand, Southeast Asia. With an ambition to become Asia's number one cultural festival, the Busan One Asia Festival showcases the city's vibrant cultural scenes and the Korean Wave to fans from around the world. This year, the Opening Ceremony headliners include Apink, ASTRO, BAP, GOT7, SF9, NU'EST W, MOMOLAND, BLACKPINK, iKON, GFRIEND, Wanna One and SECSKIES! The performances from Legend Stage, the Park Concert and the Closing Ceremony will be aired on MTV Asia at a later stage. Hosted by Hong Seok Chun, celebrity guests are invited to the studio to cook up a storm! Featuring stars like Fiestar, April, Hana from Secret, Kasper from Play The Siren. The Stage: Big Pleasure returns, where Korea's top musicians appear on stage unveiling their best to music fans! Expect strong performances from the hottest stars in the Korean music scene, like Bolbbalgan4, Urban Zakapa, HOMME, and more! Part 2 of The Stage with 4 episodes is set to air in January 2018. Korea’s premier star search competition Supermodel comes to MTV! Since 1992, this series has become a launchpad for the next stars in Korean entertainment.